In its first week on the international box office chart, Rio seizes the top spot out of the gate. It’s too soon to tell about Scre4m and Hanna. 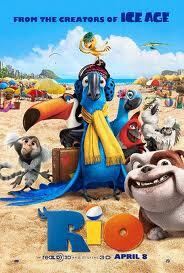 Rio (Fox) proudly enters the worldwide gross chart at #1, vaulting past Rango (Paramount). Rio‘s overseas gross to date of $131 million is already close to the film’s ShowbuzzDaily Estimated Domestic Final of $141 million. Keep in mind that Rio opened overseas one week before its North American premiere, but the overseas number still has plenty of upside. In contrast, Hop (Universal) is not catching fire outside North America. While we expect Hop to finish with $107 million domestically, the bunny comedy has grossed only $29 million overseas to date. The other recent releases debuted far down the ranking of January-April movies, as they have yet to get going internationally. We will have a better view of Scre4m, Hanna and Arthur in a week or two. See the complete ranking chart after the jump. How to read: From left to right, the first two numbers are a film’s rankings Last Week (LW) and This Week (TW), Worldwide gross (in millions), which is the sum of Estimated Domestic Final and International gross to date. (The two numbers do not always add up to the worldwide number exactly due to rounding.) 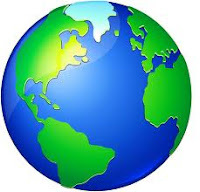 The International Impact Ratio indicates relative international performance. The Domestic number is either the actual final gross or the latest ShowbuzzDaily Domestic Ultimate estimate if the movie is still playing. The Overseas number is the actual gross to date, which tends to lag in reporting. An asterisk indicates significant overseas upside to come. The International Impact Ratio is the film’s Overseas number divided by its Domestic number. The worldwide box office ranking now includes movies released in 2011 through April 15. The International Impact Ratio (the last column on the right) has replaced the International Impact Index on the chart. The Ratio is simply a measure of the relative size of international dollars (Overseas box office divided by Domestic box office). An average film has a .70 ratio this time of year, while the ratio can be as high as 2.00 or more for a strongly internationally-skewing winter film. At the top of the chart, Rio and Rango have similar ratios (.93 and .94), but with much more overseas upside to go, Rio‘s ratio can rise to 1.20 or higher while Rango‘s will probably stay below 1.00. The total numbers at the bottom of the chart show that worldwide box office has crossed the $3.5 billion line, in this, the weakest third of the year. A reminder, we divide the year into thirds (Winter/Spring movies released between January and April, Summer Movies between May and August, and Fall/Holiday movies between September and December). We will chart the January-April movies through the end of May, when we will start tracking the international audience for the May-August films. Check back tomorrow for a look at the mid-week domestic performance of movies currently in release (a combined look at Monday and Tuesday numbers). >Updated Worldwide Box Office figures below. Girl with the Dragon Tattoo now closing in on $200 million worldwide.